I might be afraid of sleep. Or afraid of losing control of my time I’m awake, or maybe I’m just a whacko and let my mind spin in circles. I didn’t sleep much last night and I committed to being at the gym by 6. So, of course my restless legs were in full effect and I was thinking about how I hadn’t participated in a Crossfit WOD in a while. But, I made it there, completed the workout and I survived. I’m so thankful for my friends Denise and Theresa for being there to suffer with me. That’s really one of the best parts. Working out beside people who cheer you on and high five you along the way, and feel your pain. I’ve definitely missed that. 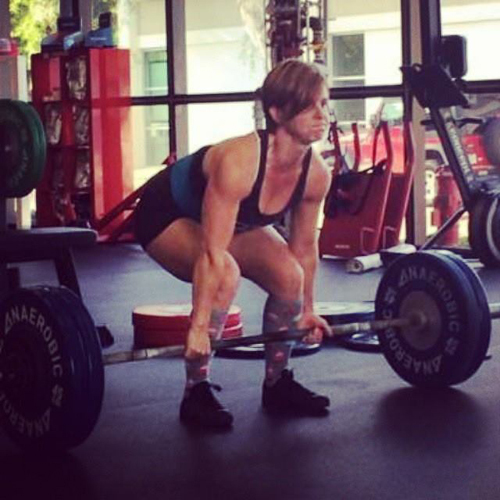 It made me think of THIS POST – Dreaming of Crossfit. Those first years of Crossfit were pretty intense. And this one - GRAY makes me proud that I’m still pushing and working at being the best me, but now…at 45, I’m A LOT more relaxed about it. In case you care, here’s the workout we did today. I almost died. But…so happy to see YOU and Denise! Miss you girls!